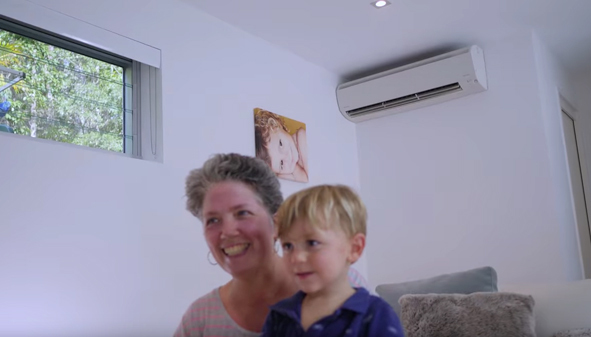 Every home that uses an air conditioner or heat pump, should realise that just removing the filters and giving them a dust off isn’t sufficient. A unit that hasn’t been professionally cleaned will have a build-up of dust, fungus, mould and bacteria inside the unit. This not only reduces the air passing through the vents efficiently, but it also has a major effect on the quality of air in your home. Air passing through your unit is contaminated, ventilation is limited with loss of effectiveness, and you breathe in unpleasant and potentially dangerous air. A dirty air conditioner unit can lose around 30% efficiency caused by dust and dirt impeding the movement of the rotary fan inside the heat pump or air conditioner, with the result that you do not have the same cooling or heating effectiveness, while the fans are working harder to provide the same flow of air as a unit that is clean. Your unit requires more than just a basic maintenance clean in order to last longer, be more efficient and to produce cleaner, healthier air. With regular use, your air conditioner unit will last longer, if the whole head unit is correctly serviced and cleaned. With periodic cleaning and servicing of your unit, you can expect a saving on your energy costs. A dirty air conditioner will have to power for longer and work harder, to produce either cool air or heat as it labours to draw air through the dust and dirt. Preventative maintenance keeps both your electric bill and your repair bills much lower. 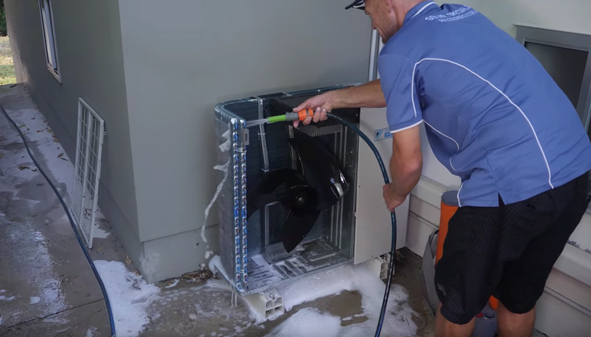 Of course, you can avoid all of these problems by having a regular, periodic cleaning and service of your Air Con and Heat Pump units. Halcol Energy, specialist installers and experienced service agents of these units can help you to avoid expensive repair bills by using our preventative maintenance programme.